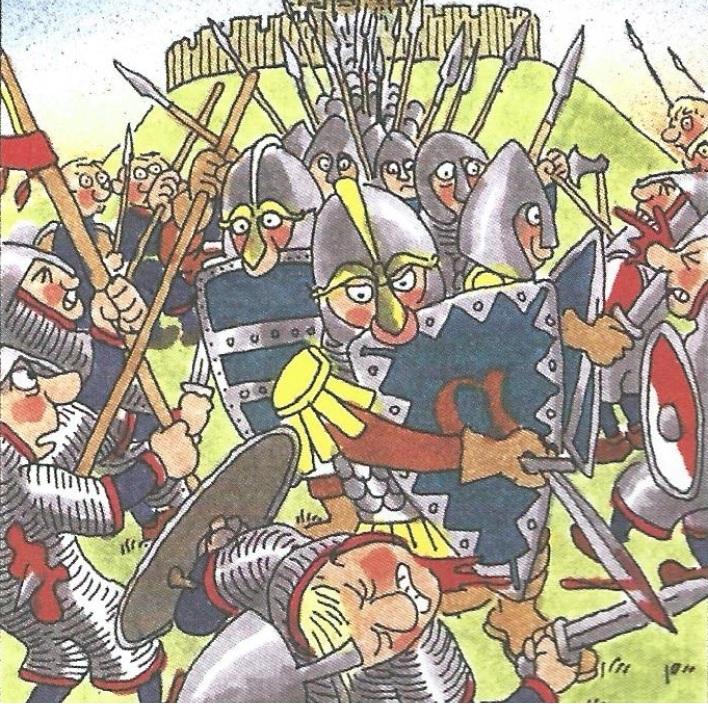 The Battle of Benfleet was probably fought at South Benfleet, The Thames made the area open to Viking raiders and Benfleet was perfect as it had water and lots of timber. It was also hidden from the main stream. This was a perfect place to provision, hide and restructure. The tidal marsh area also offered a daily degree of protection from a surprise naval attack. Vikings preferred to have easy access to their ships, this was always a preferred method of retreat , it was also whenever possible, to have a fortification surrounded by water. Hastein made a strong fortification, placed his wife and loot with a small group of guards, and then went off to raid. The Anglo Saxons decided to attack. 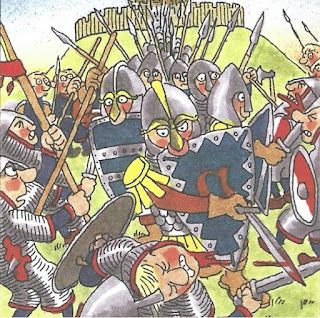 The Vikings were defeated in the battle by the army of King Alfred under the command of his son Edward the Elder and his son-in-law Earl Ethelflaed, who, with the help of wealthy merchants in London, raised a warrior force that arrived at Hadleigh and Thundersley. Hastein's spouse and two children were captured but king Alfred the great returned them because the two sons had been baptised; he was godfather to one of them, and Ethelred of Mercia to the other. So Hastein in exchange for that Hastein swore that he would leave and not cause trouble. The remaining vikings who survived fled to aViking fort at Shoeburyness. When the Benfleet fortification had been conquered, all the Viking ships were either destroyed, set on fire or taken up river to London and Rochester according to the Anglo Saxon Chronicles, but the whole story was written 70 years later. "The fortress at Beamfleote had ere this been constructed by Haesten, and he was at the same time gone out to plunder and the Great Army was therein. Then they came thereto and put the army to flight and stormed the fortress and all that was within and brought the whole to London and Rochester, and they brought the wife of Haesten and his two sons to the king"